Last orders, please! Just one week left until the tremendous 0161 Festival will take place in Manchester. 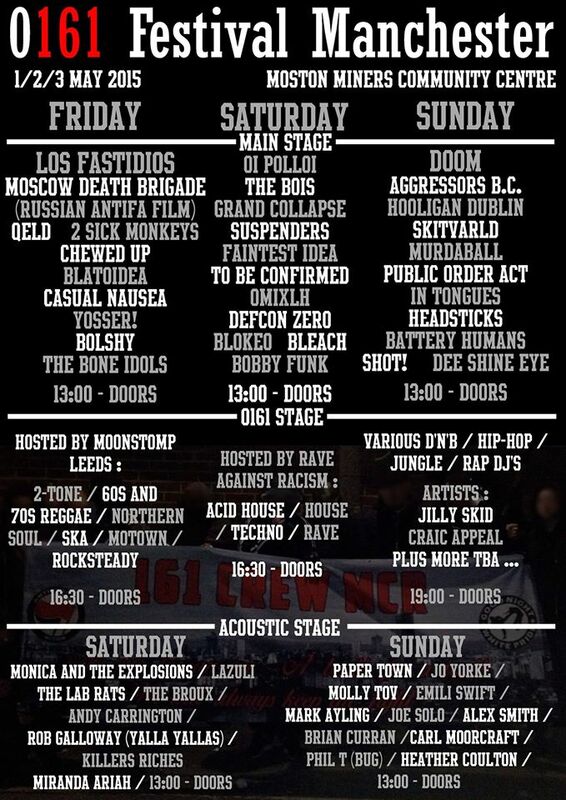 So don`t miss the chance to see our friends and comrades from Moscow Death Brigade and Los Fastidios and furthermore cracking bands like Suspenders, Doom, The Bois, Aggressors B.C.. And if you‘re looking for the right outift at this weekend, just come around to the stall of your trusted dealer for revolutionary music and clothing. See you there! Du browst gerade in den Fire and Flames Weblog-Archiven nach dem Tag '0160-festival'.